Here's a way to tell how long someone has been in Israel (or how old they are). Ask them if they know what an asimon is. Well, for those that don't recall, they were tokens for pay phones that were used until the early 1990s. They were later replaced by phone cards (which are still in use today), and now of course are overshadowed by the cell phone. What's the origin of the word? Well it originally meant uncoined metal. 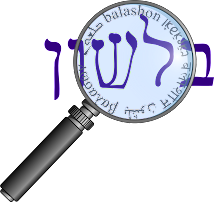 The first mishna of the fourth chapter of Bava Metzia states that "uncoined metal (אסימון) acquires coined metal (מטבע)". The gemara (47b) goes on to ask: What IS ASIMON? Said Rab: Coins that are presented as tokens at the baths. According to Klein, the root is the Greek word asemos. A= not, without, and sema = sign, token (as in Hebrew siman, and the english semantics.) 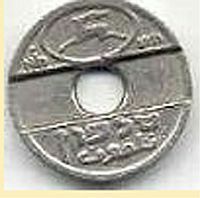 So while originally the difference between a coin and an asimon was the token had no sign (symbol) at all, it was later used to indicate a token that could not be used as money. What is left of the asimon today? Well, besides in the boxes of coin collectors, and this Shlock Rock song, we have the phrase "yarad lo ha'asimon" or "nafal lo ha'asimon" - which means "he finally understood it." This phrase came to us from the English "the penny dropped" - which has a similar meaning. They both describe how the machine/phone wouldn't start working until the coin/token had dropped.